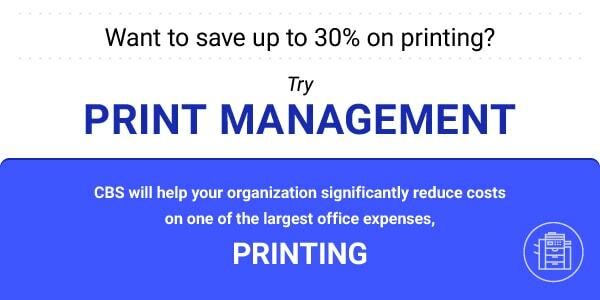 Print Management – Save up to 30% on your in-house printing | Central Business Systems, Inc.
Want to save up to 30% on printing? Try Print Management. CBS will help your organzation significantly reduce costs on one of the largest office expenses, PRINTING. 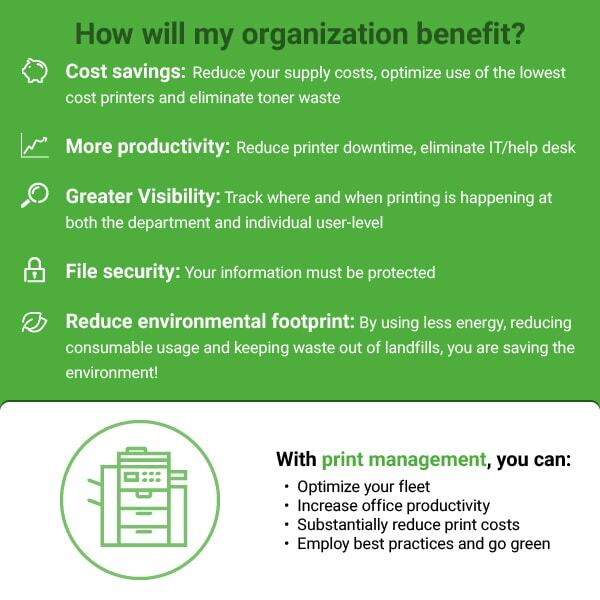 Reduce environmental footprint: By using less energy, reducing consumable usage and keeping waste out of landfills, you are saving the environment! Cutting costs does not have to be hard. By utilizing print management you can save up to 30% on in-house printing costs. Do you know what you’re spending on print? 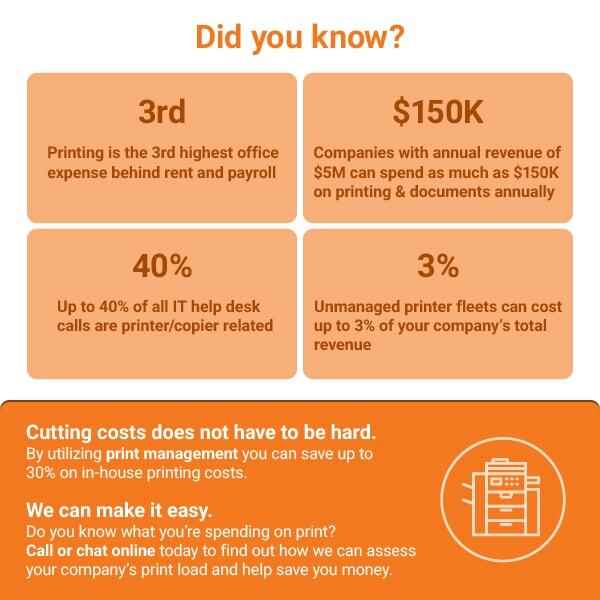 Call or chat online today to find out how we can assess your company’s print load and help save you money.